Just take my money now. All of it. Every last dime. 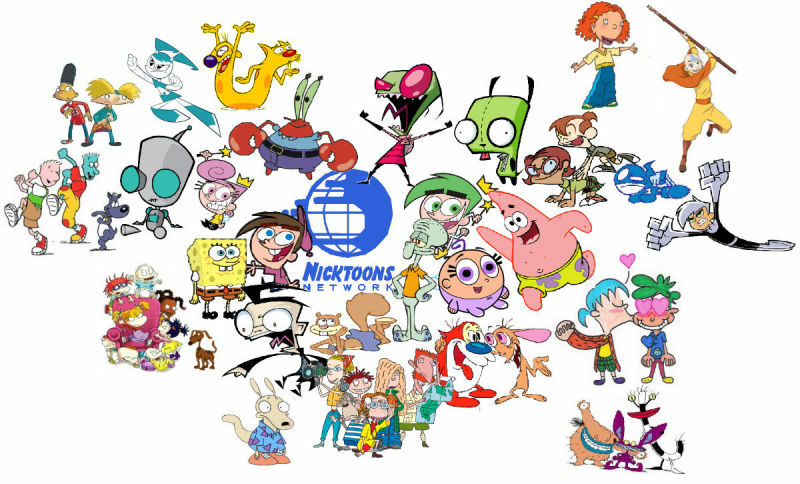 I’m not kidding, because I’m going to see NickToons 50 times in a row the day it comes out. Have you heard of/seen the amazing kids film Who Framed Roger Rabbit before? I’m betting you’re at least roughly familiar with it. Well, great news, Nickelodeon is going to do a similarly live action-animated film that borders on being The Avengers with Nickelodeon staples. Spongebob? Check. Timmy Turner, Cosmo, and Wanda? In. Doug Funny? Bingo. Everyone from Hey Arnold? You know it. RUGRATS? YEAH. This is basically the greatest day in Buzzfeed history, and at least a top five one for American culture. The news has been blowing up online and I saw it pop up on i09 earlier this evening. After celebrating and calling all those I held dear and close in my heart I sat down to write this. It’s going to be a delightful trip down a special bit of nostalgia. This one hits close to home in the best way for my graduating class would be roughly in the prime years for this project. I’m not kidding when I say I will see this in theaters with both of my younger brothers. I need this. We need this. And somehow this borders on being an original idea by Hollywood, at least one that gets me really excited. Well played. Let’s do this.